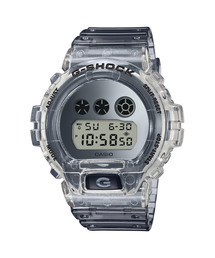 The G-Shock series from Japanese watch giant Casio masterfully combines fashion and function, becoming the high water mark of ultra-durable watches since its 1980s debut. The series offers bold and striking designs, characteristic for their rugged appearance which matches the unsurpassed G-Shock durability. Casio project Team TOUGH was started in 1981, and focused on impact resistance, aiming to develop a watch that wouldn't break even if it was dropped. 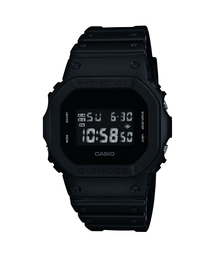 Casio focused on this project for a period of two years, going through many rounds of trial and error. 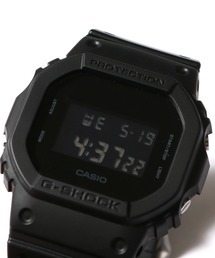 The result was the first G-Shock model DW-5000, released in 1983. G-Shock was a bold challenge to the accepted truths of contemporary watchmaking, and has since come to enjoy iconic status among watch fans both in Japan and abroad. The founding principle of Casio's G-Shock line of watches is "the balance between toughness and fashion," as the brand themselves point out. Originally developed as a result of a project to make a watch that doesn't break even if dropped, the G-Shock series has always lived up to this promise of durability.The secondary aim was to prove that contrary to popular belief, superior functionality doesn't have to come at the expense of form. As such, Casio have consistently looked to the forefront of youth culture and extreme sports when casting G-Shock campaigns. The bold lines and rugged design have proved a hit with a primarily male customer base, spanning generations and counting a range of occupations among its numbers. As would be expected from a functionality-focused time piece, G-Shock watches are particularly popular with customers involved in outdoor or high-risk activities, whether for work or leisure. 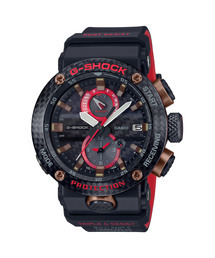 The diversity of the G-Shock's customer base is due to the series' characteristic balance between function and fashion. To win a new generation of users, it has been crucial for G-Shock to maintain their focus on creating highly functional timepieces that also look good. In addition to the all-black color scheme and chunky details of the original model, a host of specialized functions and limited-edition colorways have joined the line-up over the years. Casio moved into the watch business to expand their operations after the runaway success of their affordable handheld calculator, the Casio Mini. Their foray into watchmaking wasn't focused on durability from the start - their first watch was the Casio Toron, a multi-functional digital watch. After the Toron, Casio launched Project Team TOUGH, focusing on shock resistance, with the ultimate aim of shifting watchmaking paradigms by creating a wristwatch that wouldn't break even if dropped. After a meticulous process of trial and error involving as many as 300 prototypes, the DW-5000 model was released two years later, in 1983. At first ignored in the domestic market, the American consumer was the first to discover Casio watches and bring the brand to prominence. The key to the G-Shock's popularity in the United States was word of mouth from soldiers, firefighters, and other satisfied owners in demanding professions vouching for its performance in real-life situations.